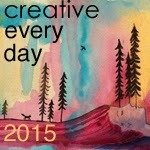 For my second face, I finally did the first week’s lesson of Life Book 2015, Beacon of Light. Of course it took on a life of it’s own and although influenced by Tam’s beautiful art, looks so different from the painting in the lesson. I’ll probably end up doing another or others. 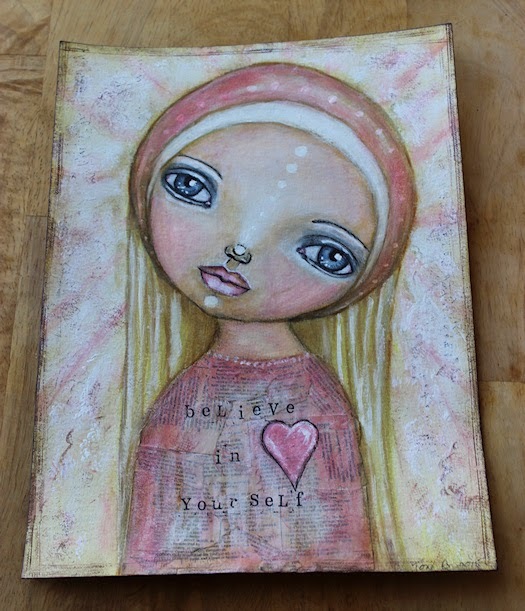 Believe in Yourself was done on 9×12 inch 140 lb cold press water color paper with acrylics, Faber-Castel gel sticks, ink, Pitt artist pens, graphite, gesso, collaged papers and stamps, gel medium and Ranger distress inks. Posted in 29 faces, Creative Every Day, mixed media, portrait and tagged face, girl art, Life Book 2015.
this is lovely and adorable. I can see Tams lesson in it, even though i have not seen the lesson.